Nigeria emerges President, ECOWAS Network of Electoral Commissions (ECONEC) – Royal Times of Nigeria. Nigeria today emerged President of the ECOWAS Network of Electoral Commissions (ECONEC) after a keenly contested election. 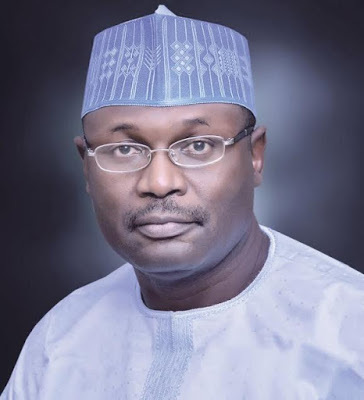 Nigeria’s representative and Chairman of the Independent National Electoral Commission (INEC), Prof Mahmood Yakubu garnered 10 votes to defeat Guinea, which received four votes. The Republic of Benin and Guinea Bissau emerged First and Second Vice Presidents respectively, while Burkina Faso clinched the position of Treasurer. The election followed two days of intensive deliberations on how to deepen the conduct of free, transparent and credible elections and by extension strengthen democracy in the sub-region. The three-day meeting, which began on March 27 in Cotonou, Republic of Benin and was organized by ECONEC, focused on constitutional and legal frameworks, civic and voter registration, register of voters, electoral logistics, results collation and transmission and technological innovations among others. Participants discussed the need for member-states to prioritize the production of credible register of voters and consider the application of technological innovations in the electoral process only as a facilitator, rather than a remedy for achieving credible elections. The meeting implored member-states to boost the capacity and training of electoral officials with the overall goal of engendering efficiency in the conduct of free, fair and credible elections across the sub-region. Besides, the meeting called on security agencies across the member countries to always remain neutral and respect the rights of citizens in the discharge of their sacred duty of safeguarding the electoral processes. Participants also called on member states to recognize the contributions of and continually engage with Civil Society Organizations, Peace Councils, Community Based Organizations, traditional rulers, religious leaders and the media, in order to deepen confidence and trust in the electoral processes. The conference was attended by Chairpersons, Vice Chairpersons and Members of Electoral Management Bodies; Representatives of ECOWAS and National Parliaments and Representatives of the Ministry in charge of elections in member-states. ECOWAS was established in 1975 to foster economic integration among its member states. From the 1990s however, it expanded its focus to include the pursuit of political integration in the sub-region. And following the review of electoral processes, the Electoral Assistance Division (EAD) was set up within the ECOWAS Commission in 2006 to organize and coordinate the organization’s electoral support to member states which, ultimately, led to the creation of ECONEC to promote credible elections and good practices among member states.